The Securities Exchange Commission Office of Investor Education has issued a recent bulletin concerning financial advisors. The SEC and FINRA have been under a great deal of pressure. Both Congress and consumer groups are looking for evildoers. So, the politically easy reaction is to attack financial advisors. Financial advisors are regulated and their records are kept into primary locations. One is the industry‘s secure reporting system and the other one is open to the public. The one open to the public is Broker Check. It is easily available online to the public. The Broker Check report includes a list of the broker’s registrations, his/her licenses, previous employment, customer disputes, and any disciplinary actions. Any accusations of professional misconduct are readily available online. The investment advisor public disclosure website has more background information. Information can also be obtained from state regulatory agencies. Most states have their own agency regulating financial advisors and investment vehicles. There are other web sites and online locations to look. Yahoo Finance has information both on current market activities and financial advisors. Forbes magazine, likewise, at Forbes.com. Some security lawyer websites and blogs also have lists of misdeeds. My own website security law website lists alphabetically and defines the myriad of misdeeds wrongful actions and crooked activities of bad stockbrokers. The SEC maintains regional offices which you can locate online at the SEC website. Offices in Miami and Atlanta have over 150 full-time SEC lawyers who are charging criminally for violations of the securities act. If you believe you have been the victim of a financial fraud, you can contact the SEC. The SEC is a government agency created by statute. It has both enforcement and regulatory responsibilities. FINRA is not a government agency. It is a quasi-public quasi-governmental agency. It functions as a dispute resolution form. If you contact FINRA, which maintains a readily accessible website, you can find out how to begin an arbitration proceeding against a financial advisor. There was an expedited process for claims under $25,000, which can easily be done without an attorney. You will be assigned one arbitrator who will hear your complaint and make a finding. For man is in excess of $25,000 a three-panel arbitration board is convened for the arbitration. For Financial Advisors (stockbrokers), the easing of the sealing and expunging process of Financial Advisor complaints is welcome news, and for anyone who owns stocks, this news may be, well…unwelcome. First a little backgrounder: The New York Stock Exchange has been on an historic run-up. Since the meltdown of 2007-2008, most stock investors have recovered their losses and realized gains. Bentleys, Bugattis, mega-yachts, and all the other hedge fund manager’s toys are selling very well. And your 401K has gone up and you are feeling good…yes? Wait. There has been a virtual drought of complaints that stockbrokers have been ripping off clients. Complaints about financial misdealings, fraud, deceptive sales practices, placing your investments in “inappropriate” risk categories, front running, unauthorized trades. These are so slow that most stockbroker fraud lawyers are taking in laundry or living under the interstate overpass in your community. The reason is a rising tide lifts all boats, and stockbroker fraud is painless to the victim if your investment went up. With all these good times, the regulating body, FINRA, is floating proposals to weaken the reporting of complaints. Why should you care? FINRA is the only place to go to resolve complaints against stockbrokers. You can’t sue them in court, State or Federal; you can only arbitrate your claim before a one or three-person panel of FINRA certified arbitrators. But the best way to win a FINRA arbitration is to not be there. You can avoid problem stockbrokers by avoiding them entirely: to do this you should ALWAYS look at Broker Check before you move your assets to a new stockbroker. 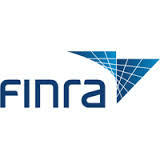 FINRA runs an online reporting website named, Broker Check. Through Broker Check, you can see all the complaints ever filed against an individual stockbroker: what the claim was about, the amount and the resolution. Broker Check goes back in time to the beginning of the “affiliated person’s” career, but all that may change. FINRA is floating some new ideas. Among them is going back only ten years. Among them is setting up a procedure where Financial Advisors (stockbrokers) can seal and expunge their records: i.e. have the complaints taken down. Some stockbroker fraud lawyers have been out front on this and have file cabinets full of files for some very happy Financial Advisors who have had their records purged. If the FINRA proposals are enacted, then it will be easier to expunge complaints against Financial Advisors, which makes it harder for the general public to evaluate and rate the past performance of a stockbroker before moving their funds to his/her management. The reasons to overhaul Broker Check’s reporting are in many ways valid: anyone can file a complaint and use it to extort money from brokers and their wire houses. Brokers tell me, and they are often correct, that complaints are settled for small amounts of money because the cost of defending them is more than the settlement, which means the validity of the claims are truly never tested, only resolved. Complaints that are extortive are reportedly to outnumber valid complaints.